Are you aware of your teen’s online activities? Do you really know what do they do in the cyber world; what kind of content do they post; what pictures do they upload, etc. You probably know nothing just as the majority of other parents. They don’t even know the perils of the internet and cyber world. These days, the cyber world is home to online predators, imposters, cyber bullies, hackers, etc. There are a lot of incidents happening related to cyber-crimes, hacking, catfishing, and sexting in the cyber world. According to a study conducted by uknowkids, 1 in 5 kids have been sexually solicited online because of the catfishers, online predators etc. The study also reveals a number of facts and figures i.e. · The internet is home to 5,000,000 predators. · 77 percent of the victims are of age 14 and above. · 9/10 parents never know that their child has been contacted by a predator. · 66 percent of teens accept doing things they want to conceal from their parents. After looking at the facts given above, don’t you think you have left your kid alone at a dangerous place? According to Online safety experts, parents are needed to stay on top of their teens’ activities. They should know what platforms they use, what sites they visit and who do they contact online etc. You may consider monitoring as a troublesome job, but it really isn’t. Monitoring teens’ online life has become a lot easier with the advent of the digital parental apps such as FamilyTime. 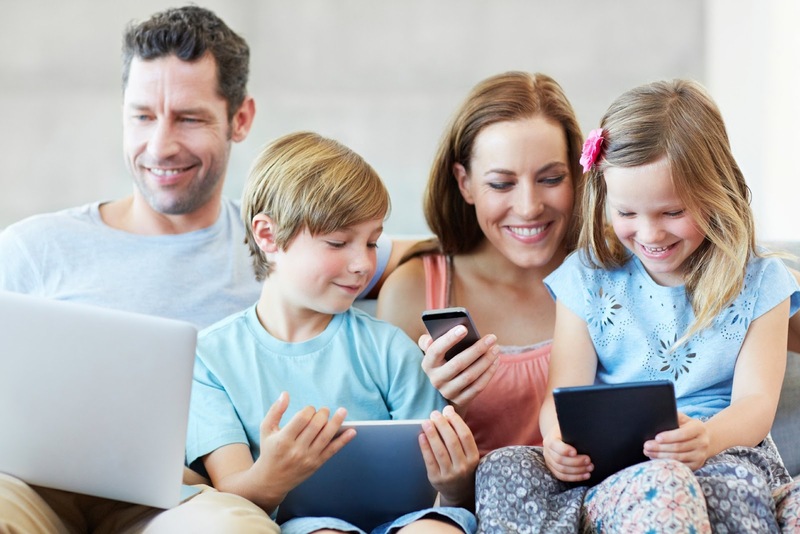 FamilyTime Parental App – The Ultimate Monitoring Tool! Parents have always been concerned about their kids’ safety. They try hard to keep tabs on their kid’s online life and activities but fail most of the time. FamilyTime parental app is the tool for such parents. 2. Check the list of sites saved in the favourites and bookmarks of their browser. 3. Access the list of installed apps with their related details. 4. Monitor their contacts, call logs and SMS history. 5. Provide their kids with an environment safe for searches by blocking unwanted sites. 6. Applying internet filters to avoid their exposure to inappropriate content. 7. Check their app usage frequency to observe how much time they spend on an app. 8. Blacklist any app they find unfitting. 9. Schedule auto screen lock on their devices. 10. Instantly put a remote lock on their devices from the app’s Dashboard to control their device usage. And much more. Do you want to give this app a try? Download it today from your App Store. It is now time to take control over your teen’s use of technology. Monitor their cyber life and take appropriate steps to prevent your kids from the online hazards using the FamilyTime parental app. Today, digital parenting is called the smart parenting!